Since my digital camera broke i had to search the archives for an appropriate picture. 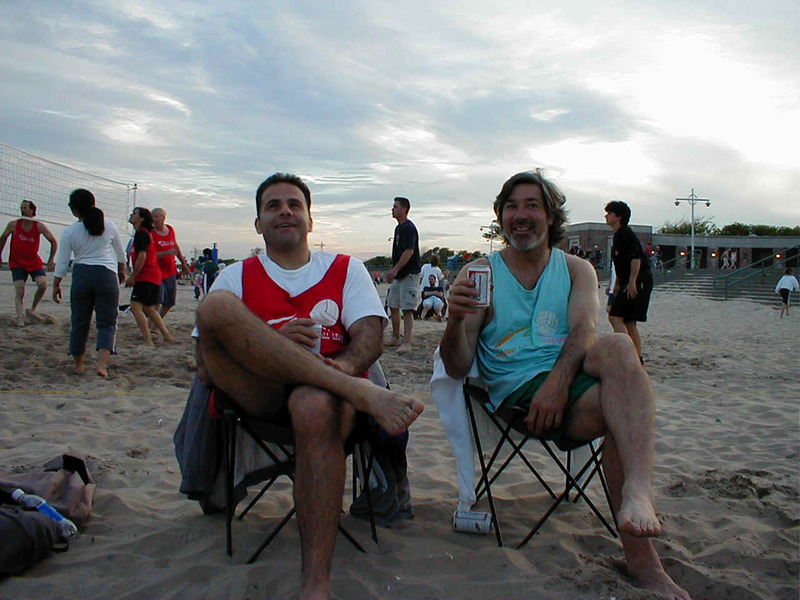 George has much to celebrate as he steamrolled into the top spot in the fourth WSOP tournament at Rockaway Beach. 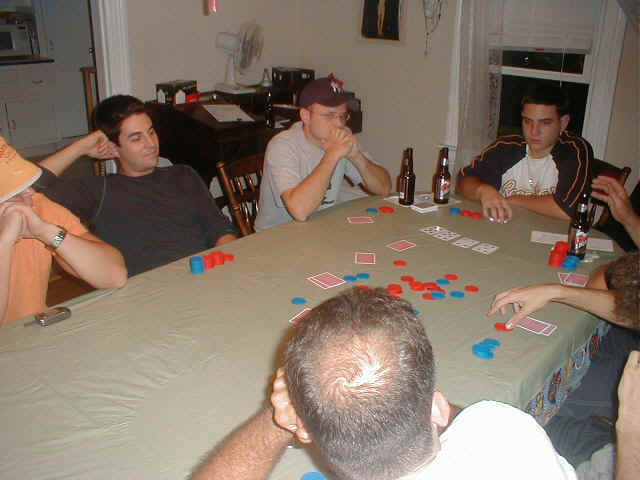 It was a record crowd at Sica's house for the October installment of the world series of poker. George Mastorides had some great cards all night and played them magnificently as he held off Brandon and newcomer Greg Tracey. Brandon was determined after being shut out of the money in the last tournament and played wisely. Greg Tracey was unsure weather he wanted to play until the last minute, but he was glad he did, as he took third in his first WSOP tournament. this picture from week three.